We're well into February, Canned Food Month, and the Canned Food challenge is going well, with plenty of choices for week 1. Day 1, we had some delicious Armour Star Canned Chili. Day 2 & 3, we used canned Tomato Sauce, Minute Rice, Canned Ground Beef, Canned Green Beans, and Canned Corn to make a full-on meal for the whole family: Porcupine Meatballs. There was enough food left over for leftovers--which, thankfully, we could refrigerate since there's no apocalypse currently going on. Day 5 was dedicated to a lunch of canned Ravioli, smothered in Velveeta--a childhood favorite that is a staple of my diet on a regular basis. Remember, when stocking your apocalypse pantry, stock what you normally eat, and eat (rotate) what you stock on a regular basis. 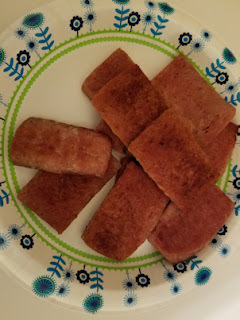 Day 6 we turned to a mean of Bacon SPAM, served with scrambled eggs (fresh now, powdered in an apocalypse), breakfast gravy (comes in instant-mix pouches now) and biscuits (made with Bisquick, a good thing to always have on hand in your home). 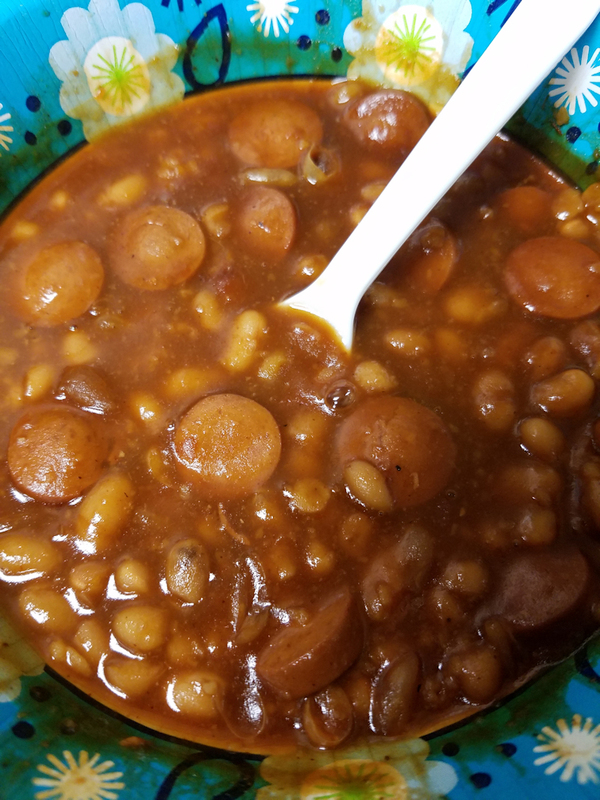 Day 7, lunch at the day job was a revolting bowl of Van Camp's Beanie Weenies--revolting because I regularly eat home made, which is better tasting and has far more slices of hot dogs in it. Still, in a pinch, and with plenty of BBQ sauce added, these are a great bunker pantry addition. 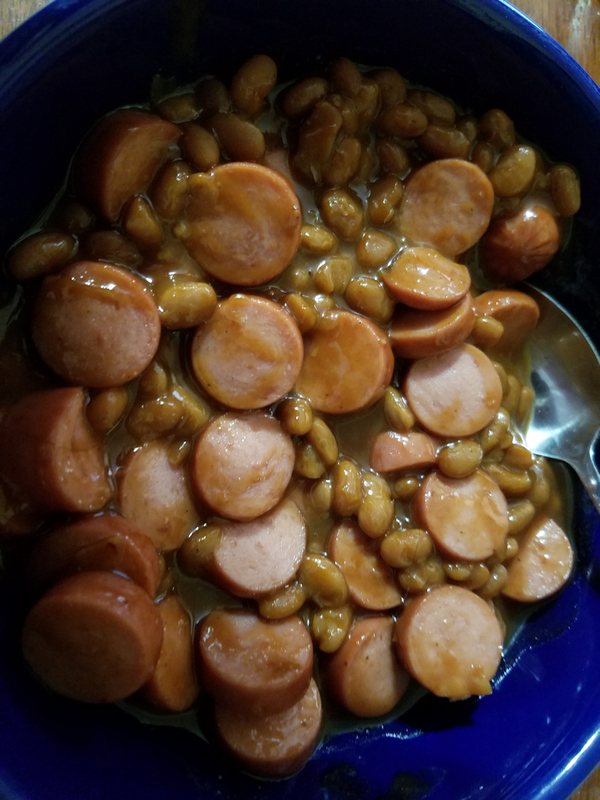 Finally, for dinner on Day 8, it was time for a batch of homemade Frank N Beans, using Bush's baked beans, two packs of Oscar Meyer weenies, and a healthy dose of KC Masterpiece BBQ sauce. More than enough food for one person, with plenty of leftovers for the next day, because I currently have electricity. In the apocalypse, I'd need help eating it all. And that's week one--eight meals, all from, or at least using canned foods, which continue to be far more cost-effective than MREs or long-lasting Disaster Prep foods from companies like Mountain House. February is National Canned Food month and canned foods are a great way to stay prepared for any disaster or SHTF event. So, for all of February, Chowmageddon is all about eating out of cans--not all three meals, every day, but one meal per day. Soups alone could meet this requirement, but who wants to eat soup every day? As I mentioned in Day 7's Challenge, beans are a staple of prepping. 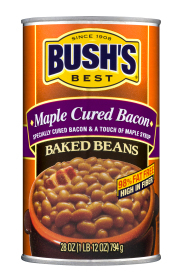 Instead of 5 gallon buckets of uncooked beans, however, I like to stock Bush's Baked beans, which come in a variety of flavors, including my favorite, Maple & Brown Sugar. Each 28 ounce can contains enough food for 2-4 people, depending on portions size. $2.19 a can, for 28 ounces seems like a great deal to me--that's two man-sized meals for someone of my stature, which makes this considerably cheaper than a can of my favorite chili. No stupid pop-tops on these Bush's Baked Beans. An opener is required. 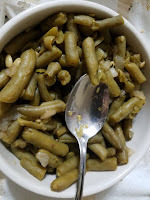 And, after three years in the bunker pantry, they tasted just as good as freshly bought-beans, although I do admit I tend to add a dash of BBQ sauce to mine when I cook them..
Now, I know it's possible, but I don't think I could pop open a can of beans and eat them raw. I need my beans cooked. Still, the fact that you could eat these raw, and that they come seasoned and flavored in the can, makes these one of, if the most useful preps in your pantry. Okay, beans are full of nutrition, and protein. The magical fruit may make you gassy later, but it will keep you alive. I'm no vegan, but baked beans do offer a great versatility in cooking, even when you don't have meat. They can be served with rice, on toast, with potatoes, or even in home-made chili. For me, my favorite use for baked beans is home-made Frank-n-beans: I add one pack of hotdogs (8), sliced thin, per 16 ounces of beans, then add in about a half-cup of KC Masterpiece BBQ sauce. Put it all in a pot on low-to-medium heat, stirring often, and in a short time, you've got a savory, bubbling pot of goodness. Serve with bread (bisquick drop biscuits in the post-apocalypse, breadless world, would be are a great companion). As stated above, these are pretty darned good. I mean, they're no substitute for chili, but these are so much better than the baked beans I used to have to eat at family cook outs or most restaurants. Bush's isn't a huge success for no reason--they make great beans. A lot of preppers stock buckets of beans for the apocalypse. Personally, I can't imagine anything worse than having to eat beans every day for months and months. Particularly beans that need a lot of cooking. Don't get me wrong, I like beans--in my chili. I also frank n' beans, but hot dogs don't seem to do so well without refrigeration... That's where Beanie Weenies come in handy. 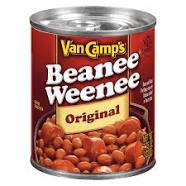 Van Camp's has been making Beanie Weenies for years--which never made sense to me when I was a kid, as you could make your own with a can of pork n beans and a pack of Oscar Meyer's. But, hey, when it comes to stocking my bunker pantry, I'm not going to complain. For the past few years, I haven't been able to find my favorite canned frank 'n' beans--barbecue flavor--so I generally keep a bottle of KC Masterpiece in the fridge at work to add a dash of flavor to my canned magical fruit. In the apocalypse, that won't be an option, unfortunately, as once opened, the BBQ sauce requires refrigeration. I don't recall exactly what I paid for this particular can--it's been in my desk at work for almost a year (would have expired in 2020, don't worry), but I recall it being pretty cheap. Oddly, when you go on Amazon.com and look at prices, they vary greatly. One seller had ONE CAN for $14.99. ??? Well, I bought my cans of Beanie Weenie, intended for days I forgot to bring a lunch to work, or couldn't get away to buy anything, about a year ago. I was surprised that the expiration date was in 2020--about two years after I purchased them. I suppose that's the pop-top to blame. Pop-tops don't have the shelf stamina a regular can of food does. Still, 2 years is pretty good, with rotation. No can opener needed for this one. Just lift the ring and pull, then pour into some kind of vessel for cooking. A canteen cup over a fire would work great. I'm going to focus on a far more important issue than just nutritional value--I mean, how good can sliced hot dogs and beans be for you? A hot dog is something like 50% water, and is no substitute for real meat. Those dog slices are clearly just for taste. Beans on the other hand, are mostly protein. 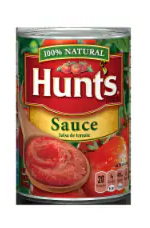 I imagine a can of this is about the same as a can of chili. The portion is the real problem here: there aren't enough slices, and the can is awfully small. I found that filling my spoon, with one slice per spoonful, there wasn't enough hot dog slices to eat all my beans. What a let down. 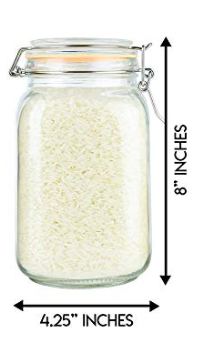 I suppose you could pour this over rice. I guess it'd taste okay. Like all mean-in-a-can selections, this isn't really meant to go with anything, other than a slice of bread, or some crackers or something--assuming you have those in the apocalypse. Ugh. My memory of these is way better than the reality. I mean, I can eat them, but as noted above, at work, during peacetime, non-apocalyptic conditions I can only do so with some barbeque sauce added. The beans aren't very good, and there's far too much water/juice in the can. When I make a big pot of beanie weenies at home, they are WAY better. 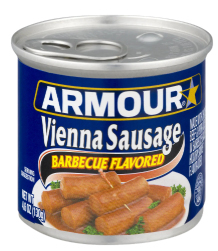 And since that's a favorite weekend meal for me, I eat them often enough that this canned stuff is pretty disappointing. Still, it's better than a bucket of pinto beans or lima beans. Blagh. At $2.79 a can, with enough SPAM for 2-4 people, I think this is a great value. Particularly given the nutritional value for this product. While the poptop indicates that this might not last as long as more traditional opener-required cans, I've opened these up as much as a year after purchase and found no noticeable difference in appearance. Yes, you can eat SPAM raw. Many people like to spread it on crackers. 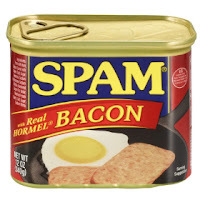 However, given that this is kind of like a miniature canned-ham, SPAM should be cooked--I prefer mine fried. 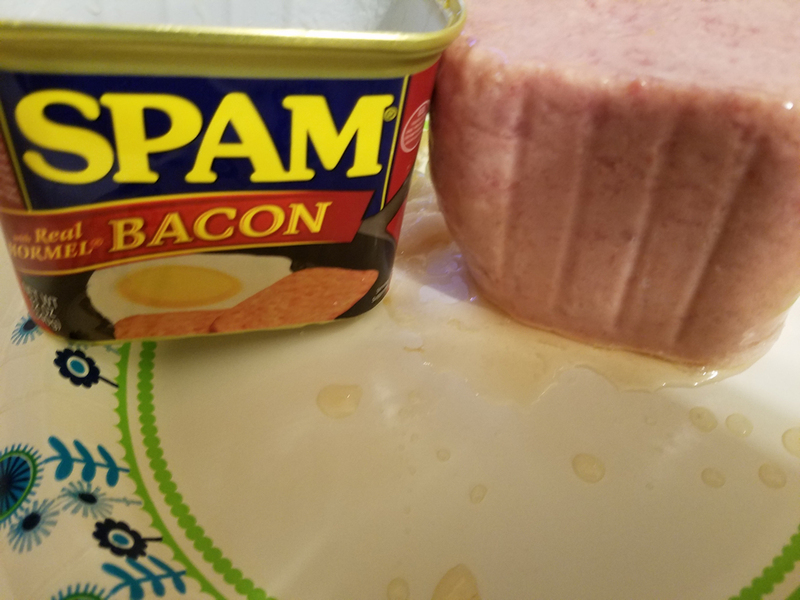 Handling SPAM might also not be much fun for eaters, as it is covered in a slime in the can (which helps get it out of the can, sort of). Once you do have your SPAM out, you need to slice it up for cooking--or even dice it up, depending on what kind of a dish you're making. As far as frying goes, SPAM does okay, although it can stick to the skillet a little bit more than other meats like balogna or ground beef. First introduced in 1937, SPAM rose to prominence as a food for troops in World War II. It also was used to feed people around the Pacific, and has become a staple of diets in those regions of the world. Yes, SPAM is high in sodium (they have a low-sodium version) the fact that it was good enough for the U.S. Military should be enough to convince anyone that it is a good choice for post-apocalyptic dining. You probably could live on nothing but SPAM, but really it's meant to be accompanied by sides. Given it is a meat, that means there are hundreds of recipes out there. In our bunker, Bacon SPAM is a great substitute for strip bacon with breakfast, or even with bread for sandwiches. It's also great diced up and added to or rice. Turkey SPAM is also great with mashed potatoes, mac n cheese, or even fried potatoes. Absolutely friggin' delicious. At least, Bacon and Turkey SPAM are. Once I had these flavors, I just don't like regular SPAM anymore. But the flavored SPAMs are great not just as a main course, or an ingredient, but just as a plain old snack--sliced thin, fried, and served on crackers with cheese, they can make any night in a bunker a lot better. 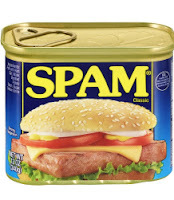 If you don't have SPAM stocked in your bunker pantry, you're crazy. Way back in the 1970s, one of the canned foods I ate the most as a child was Raviolis. This was a whole meal in and of itself, although I often ate it with a side of mashed potatoes or some vegetables. Like its cousin, Spaghetti-Os, Raviolis offer up a delicious, long-lasting alternative to spaghetti, in a can. 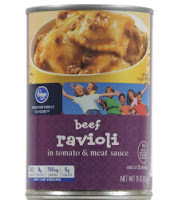 Ironically, if I wanted Raviolis as a kid, cans were the only way to have them. 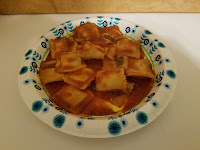 We didn't go to fancy restaurants that served freshly-made raviolis, nor did the local grocer carry the higher-quality raviolis in the freezer section that you need to make your own sauce for that are so common today. 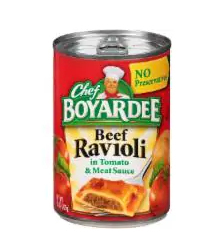 This is one can food that has been a staple of my diet for as long as I can remember, and I've eaten tons of them... Somewhere along the way, Chef Boyardee changed their formula, and for the past ten or so years, I've been buying generic Raviolis. I was heartbroken when my kids got older and decided they didn't like the pasta-and-tomato-sauce combination, but that just means my pantry stockpile means more for me in a disaster. For a complete meal in a can, these are quite reasonable. Name Brand Chef Boyardee run about $1.00 a can, while my local Generic is generally $.69 a can. Canned foods rule when it comes to shelf life, and I've read about cans a hundred years old still being edible... not nutritious, not tasty, but still edible. My local generic still uses a traditional can while the Boyardees tend to be poptops--which I read don't have the shelf life of a can you need an opener for. One interesting note is that my generic Raviolis, when opened a year later, seem pasty and almost dried up, compared to freshly-bought cans that are almost runny when opened. This makes the older cans harder to empty, but I can't really tell the difference, taste-wise. Like canned chili, Raviolis are super-simple to prepare. 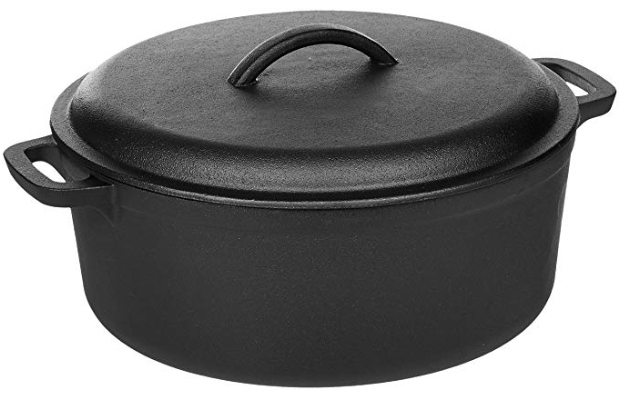 Open the can, dump into a safe cooking pot, plate, cup, etc., then heat. Stir occasionally, and when they start bubbling, they are ready for consumption. I believe that these can be eaten raw as well--but I doubt they'd taste very good. 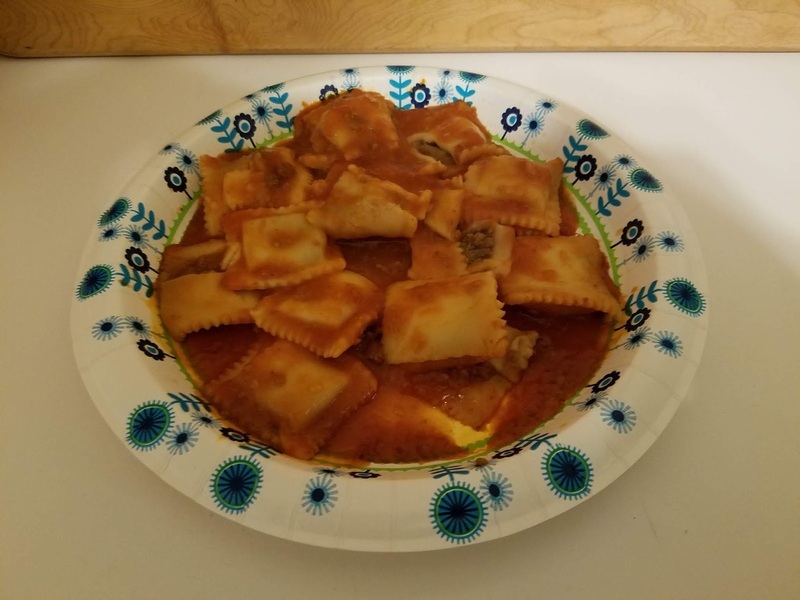 While raviolis are indeed a complete meal in and of themselves, and while most cans are just enough for one person, you can combine them with sides, perhaps to split the contents with someone else. I like mashed potatoes (instant) with mine. Bread is an obvious side, and I can recall many folks eating these with sides of green beans. As much as I love these, they really do need some cheese. I like to melt Velveeta on mine, or cover them in a dusting of grated parmesan. Other cheeses would likely work as well. While not a substitute for freshly home-made pasta, they are surprisingly good for a canned food. If you've ever had kids, you may remember the day they first ate solid food. In particular, you may remember these little "hot dogs" that came in a babyfood jar. Vienna Sausages appear to be the adult equivalent of this, although they come in a slimy paste that reminds me of a scene from Ghostbuster (the original, not the recent, lame remake). While vienna sausages may seem gross and disgusting, there is a nice alternative: BARBECUE Vienna Sausages--or the generic equivalent from the local grocery. I generally keep four of these in my desk drawer at work--for when I forgot my lunch and don't have time to run out. Served with a side of crackers, they won't exactly fill you up, but they're a helluva lot better than nothing. While these little BBQ gems are really cheap (generally $.59 a can), they don't really give you that much to eat, so I'm not sure if they're a great value, or just a good one. If you want to save a few cents, you can go generic--my local grocer's brand is just $.49 a can. Not really sure when I bought the ones I have in my desk now... two years ago? three? They expire in 2020, and I'll surely eat them before then. I keep a stockpile at home, in the bunker pantry, and will just bring in more when I run out. No can opener needed for this one. Just lift the ring and pull. They don't even need cooking. In fact, I'm not sure if they'd be very palatable if cooked. The only bad thing is you need a fork to pull them out, or you're going to have to dump them onto a plate or into a bowl or something. I just use a fork, thereby avoiding dirtying up any dishes. Very convenient. 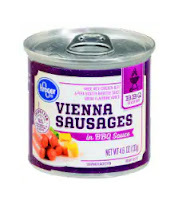 Man cannot live on Vienna Sausages alone. Come on, they're little cocktail weenies in something that barely qualifies as BBQ sauce. These are purely in the snack or side-dish category. These are not a substitute for meat. They are pasty and mushy, and without the BBQ they've been soaking in on the shelf, they'd barely be edible. These are more of a hint of meat. A meatish snack, really. Better than eating bugs or tree bark, but really, I'd rather have a bag of jerky or a can of chili. Canned foods aren't sold to sit in a bunker for years and years without refrigeration. They exist so that foods can be stored in a pantry. Those foods can be full meals (like chili) or they can be ingredients for a more traditional meal. There was a time, not so very long ago, that all meals were made from ingredients that came from a can or a box, or both. To that end, for our Day 2 and 3 challenge, we set out to make a meal for a family of four, with enough for leftovers when we were done. Our meal of choice? Porcupine Meat Balls. Now, it's true that hamburger typically comes from the freezer or fridge--most ground meat requiring refrigeration. Notice that I said most. As it turns out, if you want to have this meal in the darkest of apocalyptic times, all you'll need is the ability to stock up in advance from etailers. 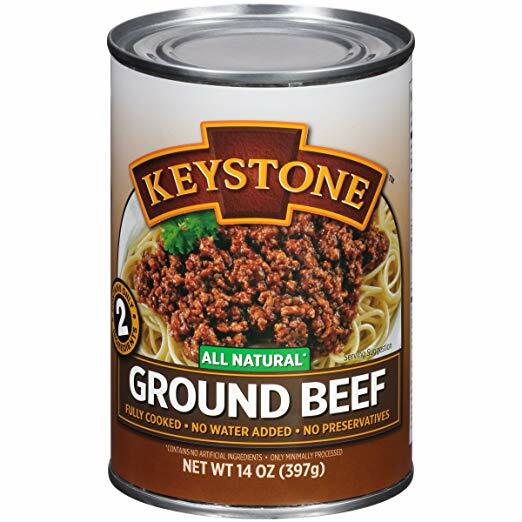 A fourteen-ounce can of ground beef runs $4.99 on Amazon. Compare that to a pound (16 ounces) of ground beef at my local grocer as I write this, for $3.99. Yes, the canned beef is more expensive, but it doesn't require refrigeration. 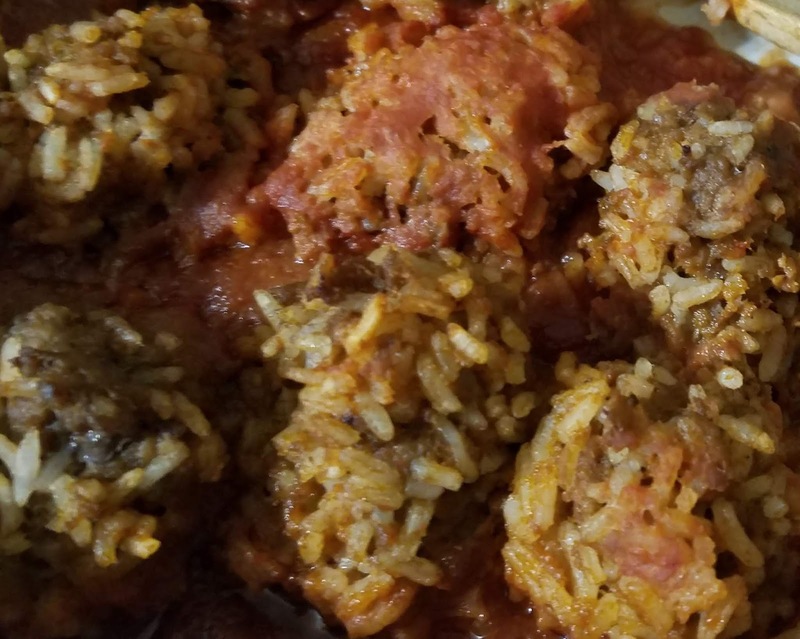 Now that you have your rice (1/2 cup) and your hamburger, combine them with 1/2 cup of water (for minute rice, 1 cup for plain long grain), 1 tsp of salt, 1/8 tsp of garlic powder, 1/8 tsp of pepper. Our sauce runs $1.29 at the local grocer and is useful not just for this recipe but for a variety of others. We keep plenty on hand in our pantry. When it's all done, you've got enough food for 2-4 people, complete with sides--and it all came from a can. 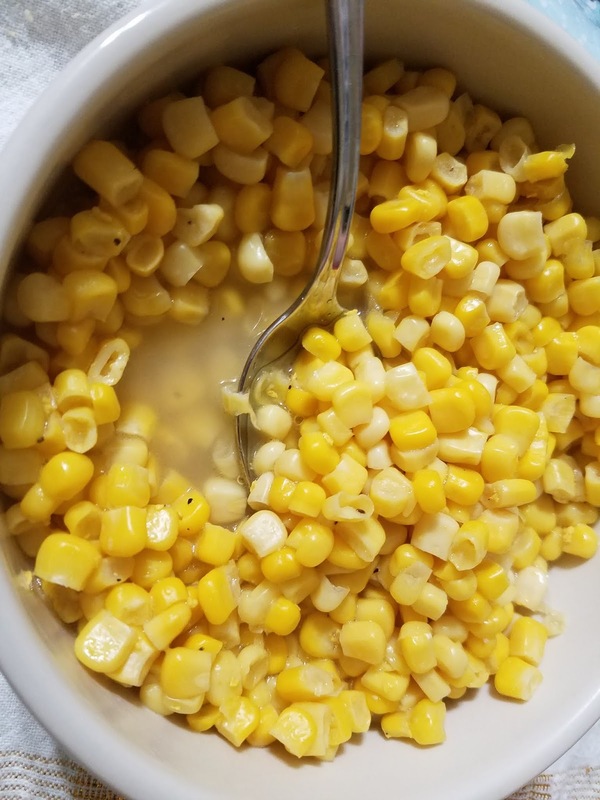 If you want leftovers (assuming it's winter and your leftovers can be safely stored in a container outside, utilizing nature's freezer), double all your portions above. 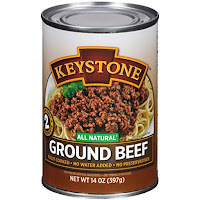 The only real drawback, price-wise, to this meal, is the expensive canned ground beef. 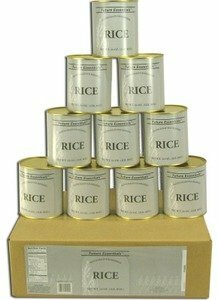 Minute Rice is significantly cheaper than canned rice, and is a wise addition to any bunker pantry. That canned beef however, is a bit pricey and more than likely isn't available at your local grocer. Still, it's worth the cost for some comfort food--this is a favorite in our family, and would go a long way to making us all feel better during a difficult time. 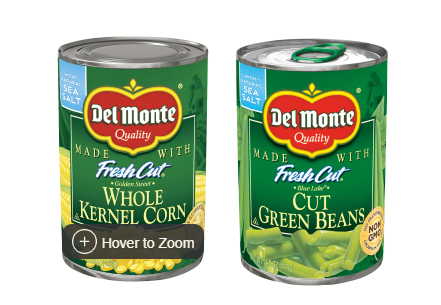 Canned foods are awesome when it comes to shelf life--unless they're like that icky corn above with it's pop-top. Those kinds of cans don't last anywhere as long as a traditional can. If you're looking to pack this away for years, without occasional rotation, choose your brand and can type carefully. Going to have to deduct major points for this one. It's a complicated meal that will require 2-3 cooking surfaces/heat sources and dirty up a lot of dishes. A can containing one entire meal would be a much simpler thing to prepare, but not be nearly as delicious. It's a tradeoff that might be worth it every once in an Apocalyptic while. If you eat your green beans and corn (I stick to just the meatballs with maybe a side of instant potatoes) this should be a fairly nutritious and filling meal. Unlike a can of chili, a prepared meal can't be combined with anything other than different side dishes. This is what it all comes down to: is this any good, or is it going to depress me more than I already am when I'm hunkered down in the bunker, waiting for a crisis to pass? The answer is YES. I look forward to this meal whenever my wife decides to cook it (minus the yucky vegetables--those are for the kids). I may like it better than spaghetti or even my beloved canned chili. It's quite delicious. And, if you cook enough of it, and can restrain yourself, the meatballs are even better after a night in the fridge/cooler. Highly recommended for both pre- and post-Apocalypse.